This is the first book that has taken me ten minutes just to look at its cover. Its use of a three-tiered lenticular lens, trebling the 22 logos on the cover (from Wolff Olins’s AOL to Mind Design’s work for the model agency Tess Management), was just too much fun. These three-step animations offer a glimpse of the more complex work that lies inside, and neatly tee-up the central idea in this book by the Dutch designer Irene van Nes: that today’s most exciting designers use a variety of techniques to enliven brand visuals that go far beyond static logos, to create more flexible, holistic identities, that the book refers to as ‘holos’. Inch-thick and packed with full-colour examples, Dynamic Identities has a refreshingly simple argument. 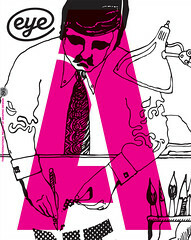 Van Nes sets out a straightforward menu of six components that together create a brand’s visual character: type, logo, colour, imagery, language and graphic elements, and argues that while this system informs the design process, ‘fixating on at least one recognisable component can leave room to play with the others, creating a dynamic identity’. Arranged across five broad chapter headings, the book then works through some case studies detailing the way these six system elements are brought to life. The first chapter looks at design as a container, where, as in the early example of MTV’s logo, fixed graphic shapes and spatial relationships allow in-filling with any texture, colour or pattern while still maintaining consistency. The braver the choices, the more striking the effect. While Landor Associates’ vividly coloured, angular marques for the City of Melbourne are bright and tidy, Bruce Mau’s projection of the Netherlands Architecture Institute’s NAi wordmark onto a variety of materials and surfaces is consistently unsettling. The opposite approach sees design as wallpaper. Notable among the second chapter’s examples is 2x4’s logo for the Brooklyn Museum, where the foremost central motif and colour palette remain constant but are set against a shifting, flexible background. Other chapters, ‘DNA’ and ‘Formula’, look to rules, rather than graphical elements, to underline design consistency. This can be highly successful, as in Google’s doodles, where just colour order, rough proportion and location ensure familiarity. But the Dutch designer Maureen Mooren’s identity for Marres, a contemporary art space in Maastricht, stretches the principle to breaking point. With so little to tie the multiple logos together, I feared that once the un-expert hands of a visiting dance company’s junior designer were let loose on the identity, there would be little of it left. Perhaps the most ambitious and forward-looking element explored in the book is the final chapter on generative design, where digital and real-time input find their way into identity. Stand-out examples are Tomato’s sound-reactive coloured ‘blocks’ for the Japanese broadcaster Asahi TV, and the work of Sheffield’s Universal Everything, whose identities variously react to the diversity of US regional accents, or even the music programmed in a festival. 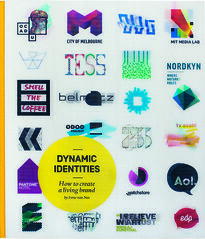 While Dynamic Identities could be a great addition to a university library, it has enough in it to become a sourcebook for professional graphic designers, either for those Monday mornings short on inspiration, or when looking for a clear system and some great examples to contextualise their work to a client – and even embolden them to go further. Lenticular cover features 22 logos. 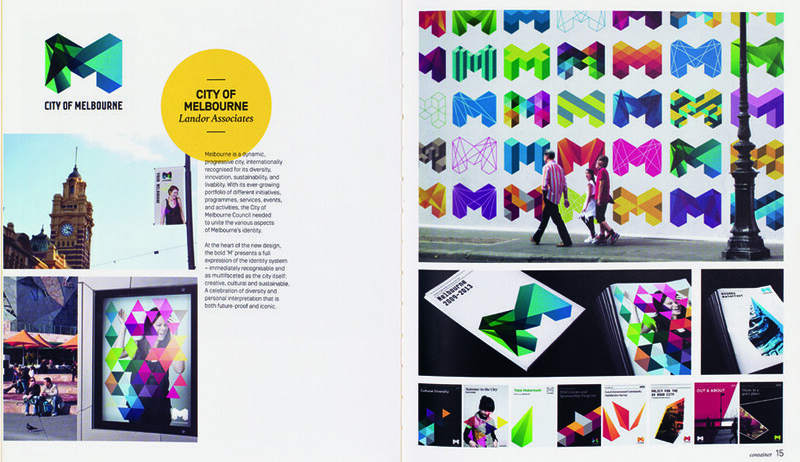 Top: spread from Dynamic Identities by Irene van Nes showing Landor’s identity for the City of Melbourne in Australia.